The best way to ensure that you are getting the nutrients that your body needs is a healthy diet; however, many people do not have the time needed to cook meals at home. If you find that you are suffering from nutritional deficiencies due to unhealthy eating habits, dieting or following a vegan or vegetarian diet, a nutritional supplement can correct a deficiency. Millions of Americans rely on multivitamins to help improve their health. If you are worried about nutritional deficiencies, it is time you have learned how to get the most out of your vitamin and mineral supplements, including how to pick the best dietary supplements, common issues surrounding dietary supplements and how to avoid them. How multivitamins can bridge nutritional gaps? Who is at risk of a nutritional shortfall? Nutritional shortfalls are quite common in the elderly, vegetarians, vegans and women of childbearing age. Women of childbearing age often suffer from an iron deficiency that can lead to anemia. The elderly along with those who avoid animal products often experience low levels of vitamin B12. A vitamin B12 deficiency can cause irreversible nerve damage and cognitive decline. 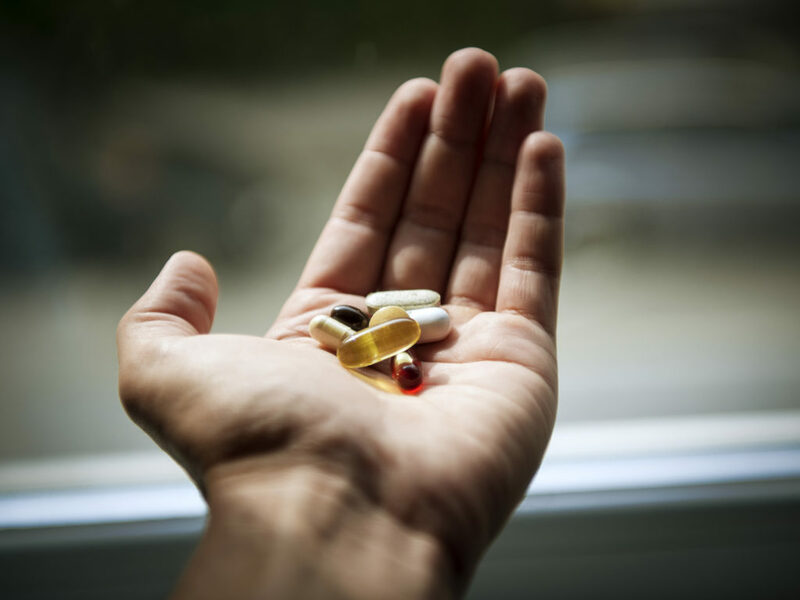 Can nutritional supplements help prevent chronic disease? The National Institutes of Health reports that a review of studies found that multivitamin and mineral supplements can help prevent a number of chronic diseases, including osteoporosis, cancer and coronary heart disease. The study found that those who had an alcohol addiction, vegans and the elderly are at an increased risk of having vitamin and mineral deficiencies. It was shown that folate, vitamin B6 and vitamin B12 help the body metabolize homocysteine, which decreases the risk of coronary heart disease. Vitamin E, on the other hand, has been shown to reduce the risk of prostate cancer. Finally, vitamin D supplementation helps to reduce the risk of fractures when it is taken with a calcium supplement. Other studies have shown that multivitamin supplementation can significantly reduce the risk of colon cancer, osteoporosis and other medical conditions. When shopping for a multivitamin and mineral supplement, it is important to look at the following ingredients to maximize the effectiveness of the supplement and minimize any risks associated with consuming too much of a vitamin or mineral. • Vitamin A – Your body converts carotenoids and beta-carotene into usable vitamin A. Remember that excessive amounts of vitamin A in the form of retinol can damage your liver and can be dangerous to your bone health. • Iron – Postmenopausal women and men should look for an iron-free supplement unless they are not consuming iron-rich foods such as meats and fortified grains. Too much iron can damage your organs. • Folic acid – Women who are of childbearing age should ensure that they get 100 percent of the daily recommended allowance of folic acid. A folic acid deficiency during the first month of pregnancy can cause neural tube defects in fetuses. • Vitamin D – Vitamin D is used by the body to help improve the absorption of calcium and help prevent certain types of cancer. Those who are overweight, spend little time outdoors or who have dark skin are at an increased risk of having a vitamin D deficiency. • Vitamin C – Vitamin C is an antioxidant that helps to remove free radicals from the body and improve immunity. Those who are elderly or who have a compromised immune system can benefit from a vitamin C supplement. Are capsules or tablets better? Most experts agree that a vitamin and mineral supplement in capsule form is better than tablets. Capsules tend to break down more easily in the stomach, which means you get the maximum amount of vitamin and minerals. Choose a reputable company that offers easy to digest capsules to maximize your absorption of vitamins and minerals. An acidic environment decreases the body's ability to absorb vitamins and minerals from supplements and foods. Additionally, an acidic body can decrease the body's ability to detoxify itself, reduce metabolism and increase the risk of a number of health issues. Avoiding processed foods and opting for whole foods will help alkalize the body and improve the body's ability to absorb vitamins and minerals. Many American's suffer from nutritional deficiencies. The risk further increases in those with digestive issues, the elderly and those who follow a vegan lifestyle. Learning which vitamins you should be including in your diet and supplementation program along with eating an alkaline diet will help protect your health and may prevent a number of chronic diseases.